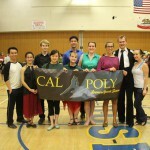 Congratulations to Cal Poly Ballroom Team members and alumni Marie Grap, Colin Keane, Ali Hammond, Ben Lin, Zachary Hatton, Danyele Rampone, Chris Ellwood, Anne Nakano, and Khoa Nguyen for participating in the UCSB Beach Ball! Everyone did a fantastic job and the team did an excellent job of presenting itself. I want to give a special shout out to our newest couple, Zachary Hatton and Danyele Rampone, who competed in Waltz, Tango, ChaCha and Hustle! Great job guys, the team is proud to have you! 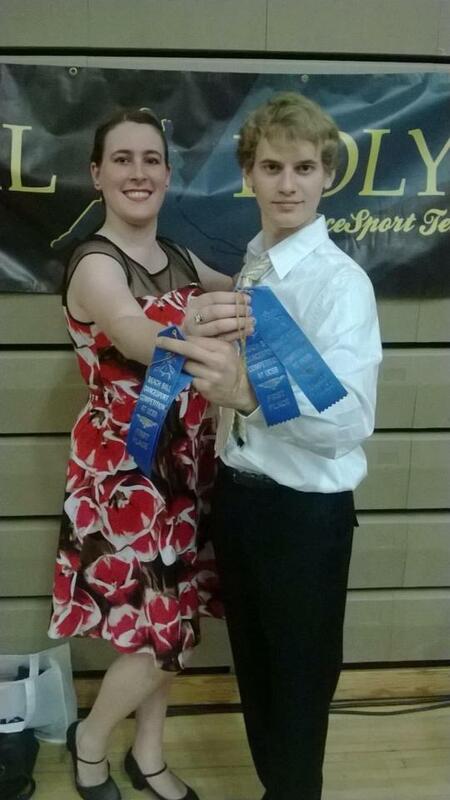 Zach and Danyele placed 1st in Green American Smooth Waltz & Tango. The competition featured a beautiful showcase couple, Victor Fung and Anastasia Muravyeva, who are currently ranked #2 in the world in International Standard. The show was, of course, amazing. 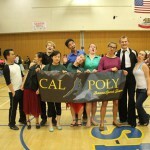 Victor and Anastasia performed the showcase for the UCSB Beach Ball. 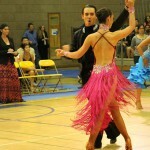 Never been to a ballroom competition? Interested in competing or spectating? Contact us and we’ll let you know how you can be a part of these fun and memorable events! Here are some photos that were taken at the competition. 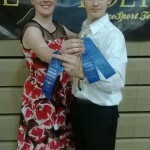 Danyele and Zach competed in Waltz, Tango, ChaCha, and Hustle for the first time! 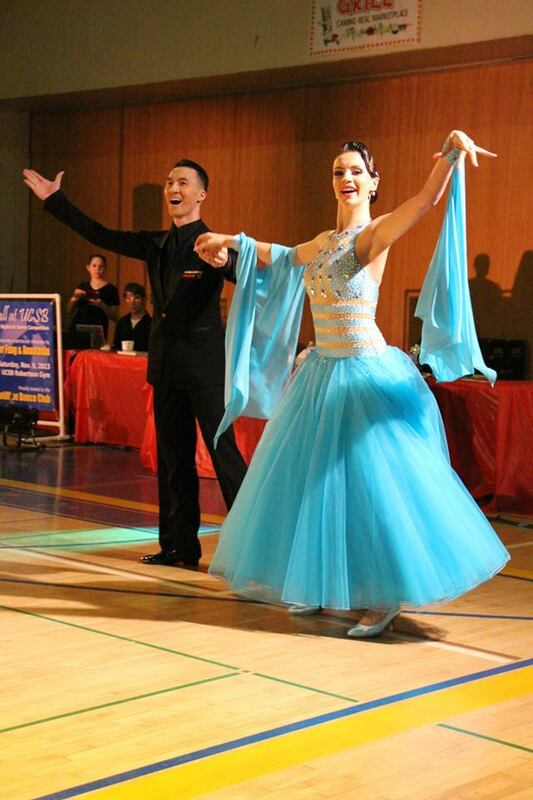 This couple competed in Championship American Smooth, proving that you can be a great dancer at any age! Anastasia bows like a princess.